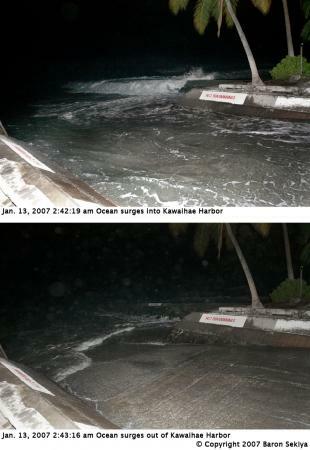 The ocean surges out and into Kawaihae Harbor due to the Japan earthquake. Click to view bigger image. The 8.2 magnitude Japanese earthquake affected ocean conditions in Hawaii. In the early morning hours of Saturday the ocean was calm but suddenly there would be surges that would drain the ocean down then it would rise up. It was dark but you could hear the roaring surf coming. This would repeat over and over, calm, then surges. 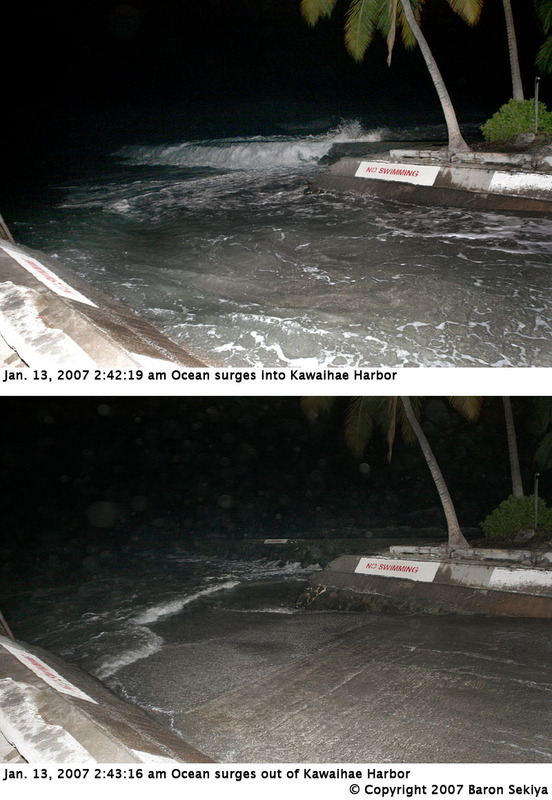 The ocean got so high it sent waves spilling over the breakwater near the north boat ramp at Kawaihae Harbor. Seeing how the ocean acted was kind of spooky. If you’re ever in an earthquake and near the ocean, run, you don’t want to deal with crazy wave action. This is just a little bit of the video. Hey man, I finally watched "Lost in La Mancha." Two curses – the director having Champagne taste on a Budweiser budget, and a French actor's hernia. It was a good documentary – and the footage of the giants was hilarious.